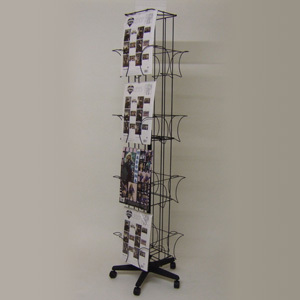 Calendar display racks are a great way to arrange calendars of all shapes and sizes. Most of our stock items are powder coated in silver, other choices are available. Contact us today to ask as any questions about our calendar display stands or to order.